VOLUNTEER FOR THE FUN OF IT! If you like being happy. Laughing. Playing. 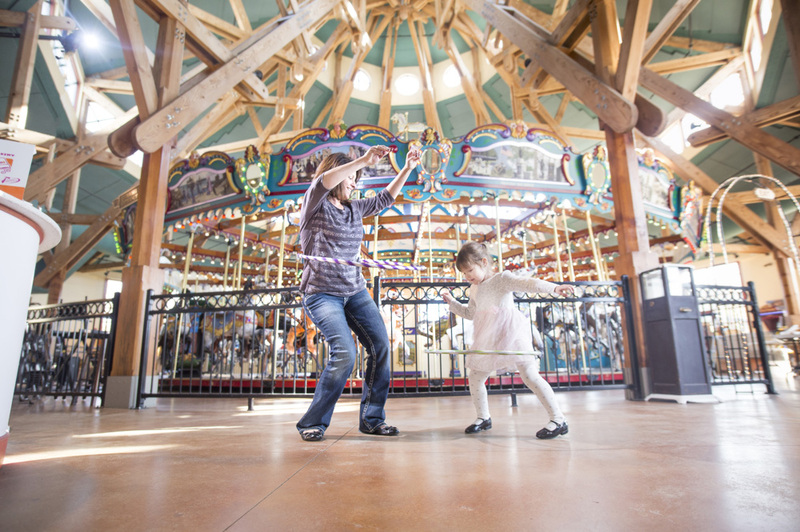 Making magical memories for all ages, then the Silver Beach Carousel is for you! 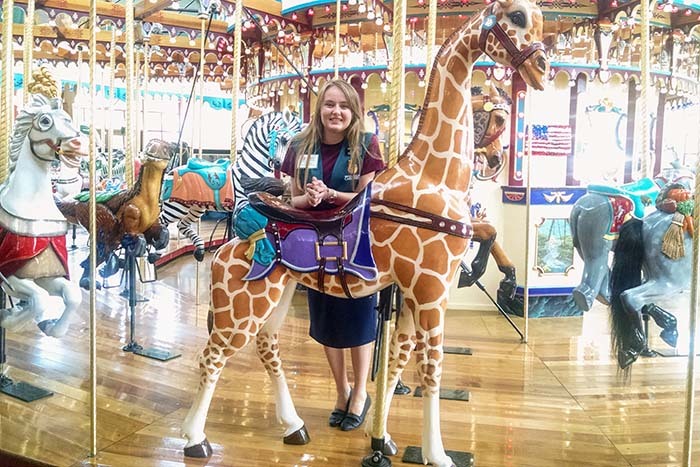 We're one of the most fun places to volunteer. 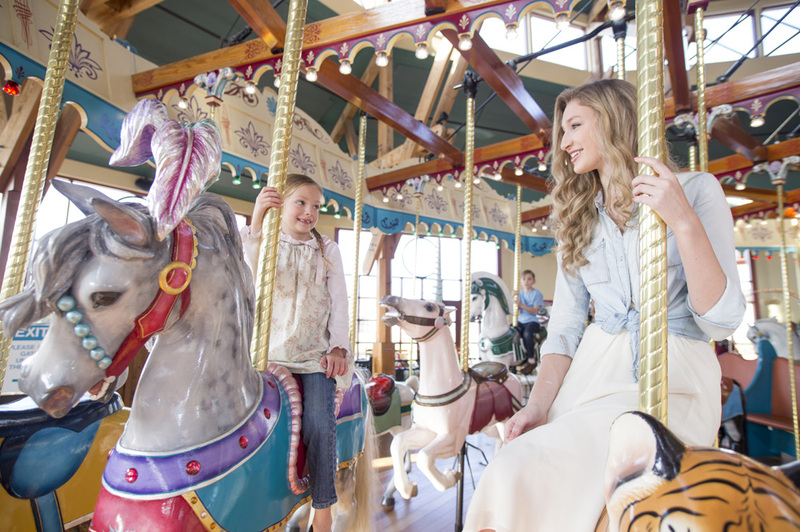 And you'll have a blast with all of our Friends of the Carousel. Your help is definitely needed! 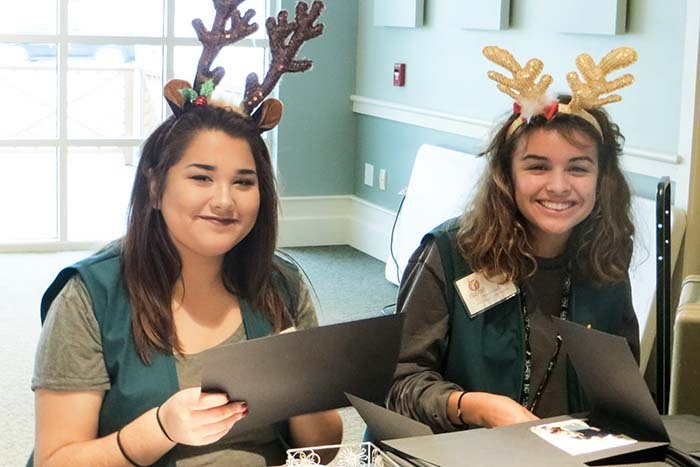 As a nonprofit organization, the only way we can make all of this happiness happen all year round is with lots of fun-loving people like you. 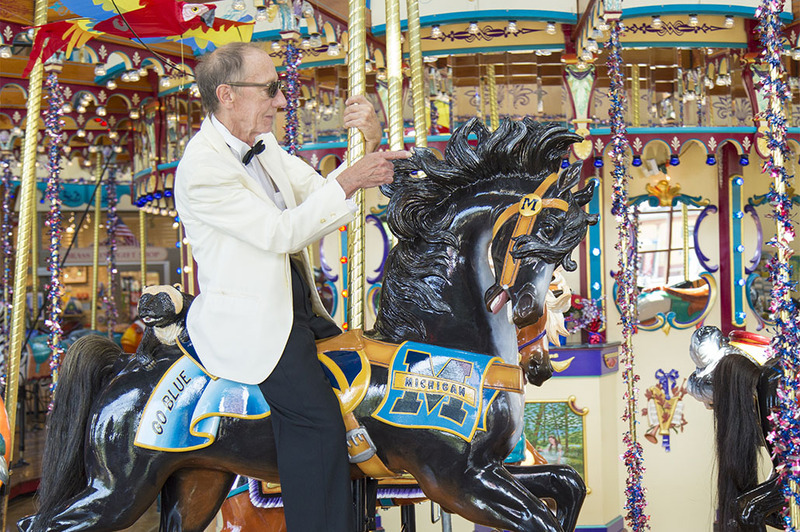 Whether you are 14 or 84 years old, we can use your enthusiasm and ideas. You don't have to make a big time commitment, either. You don't have to commit to work every week. Just pick the days and times that work for you. Signing up for shifts is easy, too. Register online or call and let us know when you can help. Volunteering is easy. 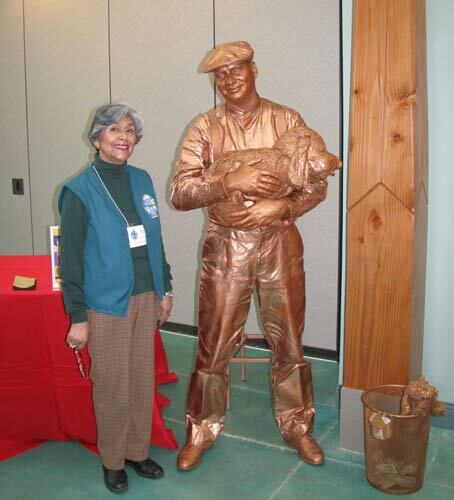 To register as a new volunteer, or if you are a current volunteer wishing to sign up for an activity or upcoming event, click here. JOIN US TODAY FOR GREAT TIMES! 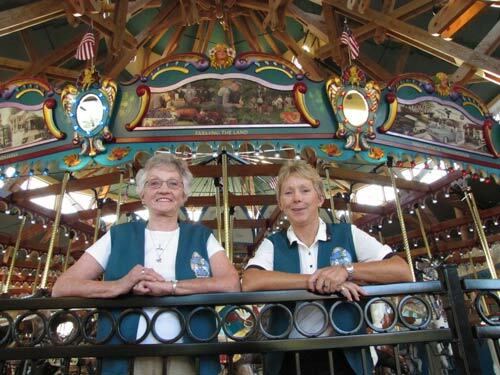 What joy you'll bring as one of our carousel operator assistants* or hosts. 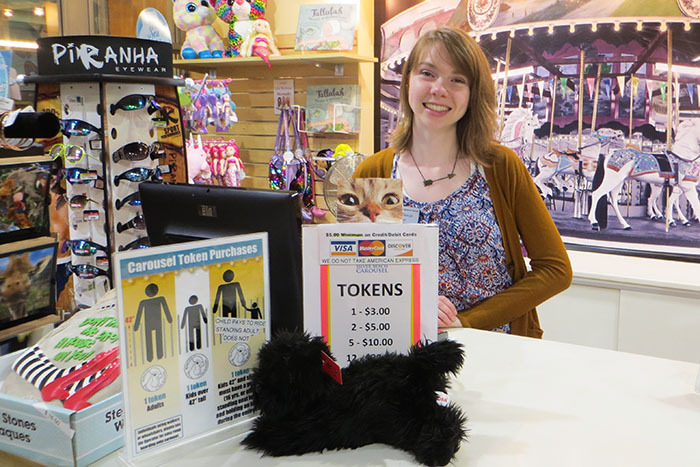 You'll guide visitors to where they can purchase tokens and help them have safe and happy rides. 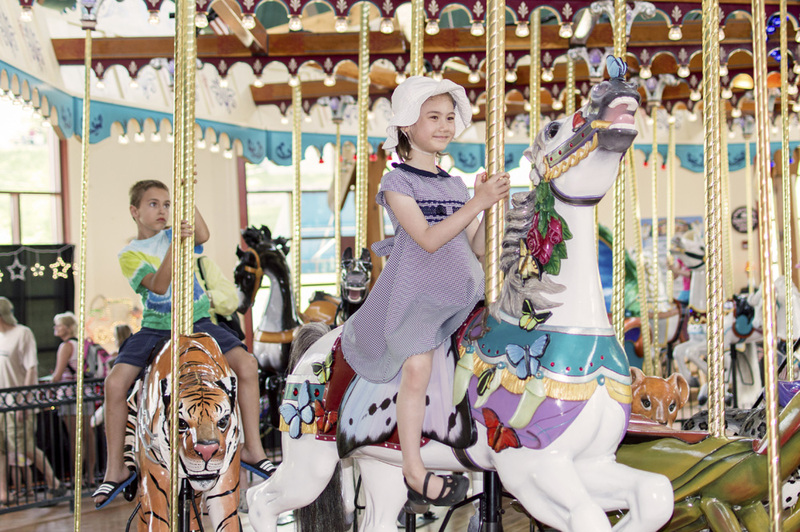 Thanks to you, they will learn fascinating facts about the Carousel and the interactive exhibits in the Silver Beach Amusement Park Museum. 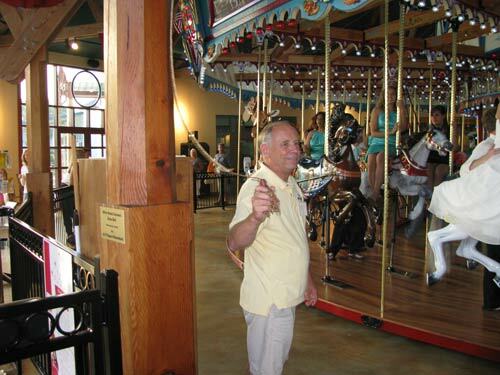 You'll help them find The Brass Ring Gift Shop and direct them to the restrooms. 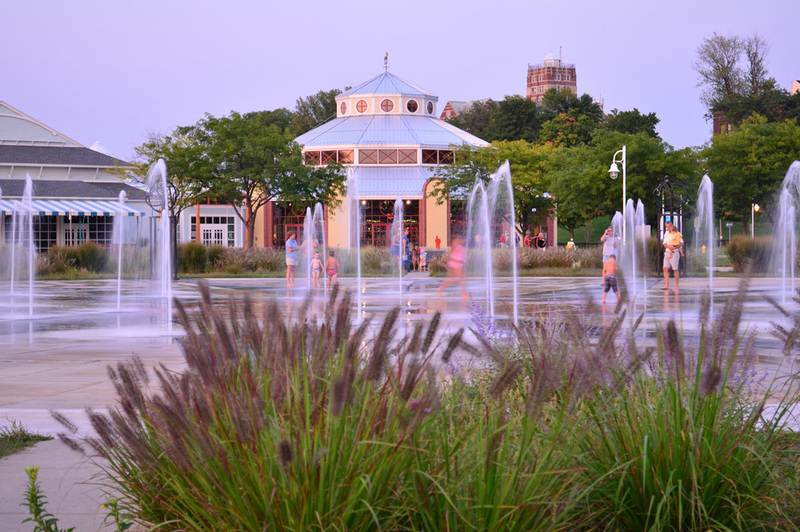 Be our ambassador for the area, informing guests about fun things to do while they are in Southwestern Michigan. 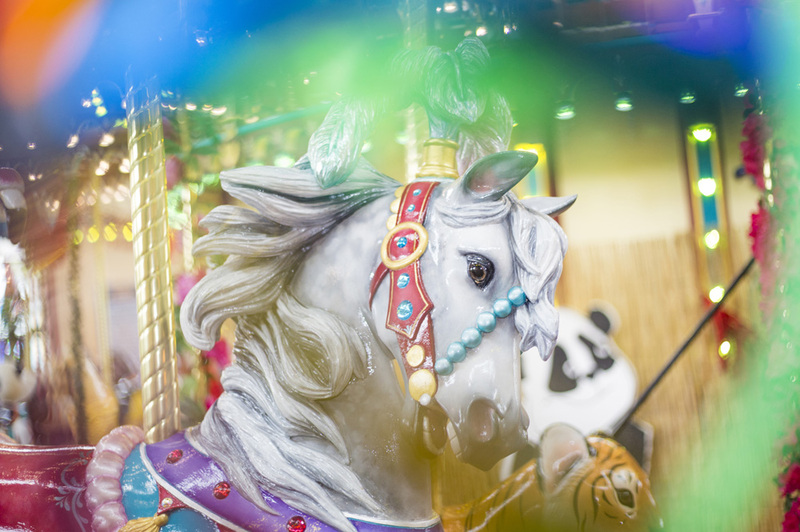 Give our carousel figures TLC and help us keep the carousel house tidy. Pass out literature about upcoming good times. 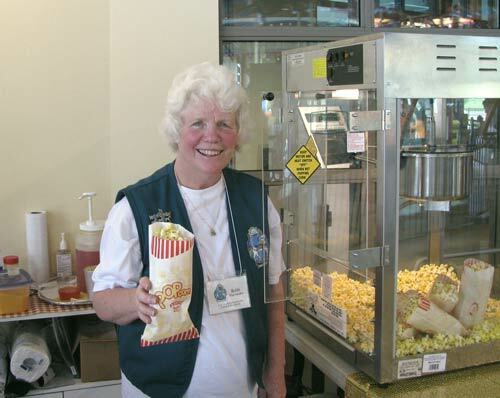 You will also assist the refreshment stand staff when needed. Mostly you will start everyone smiling ... it's highly contagious, you know! 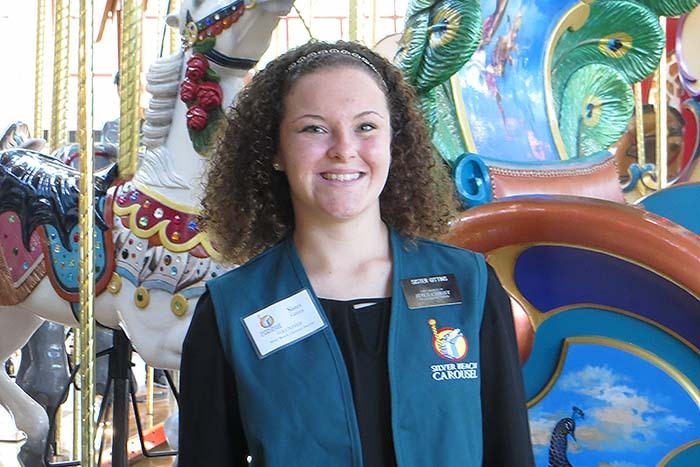 *Our Carousel operator assistant volunteers must be at least 18 years old. 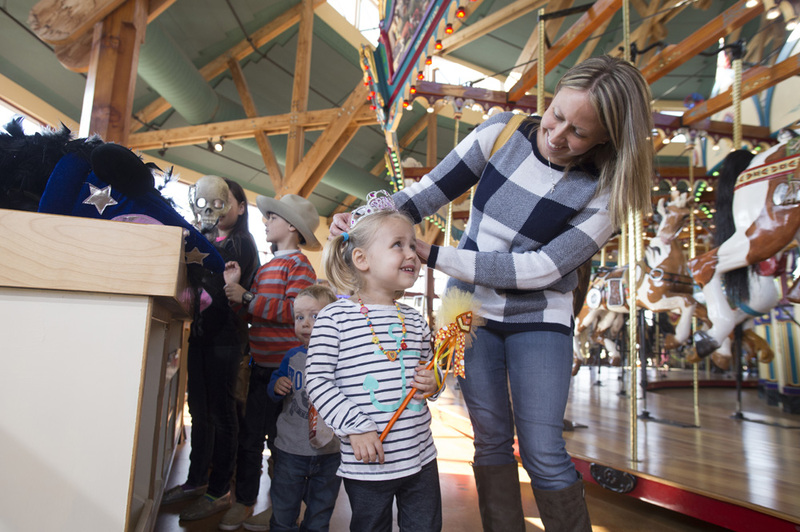 If you enjoy interacting with all ages, you'll love being a Popper & Spinner volunteer. 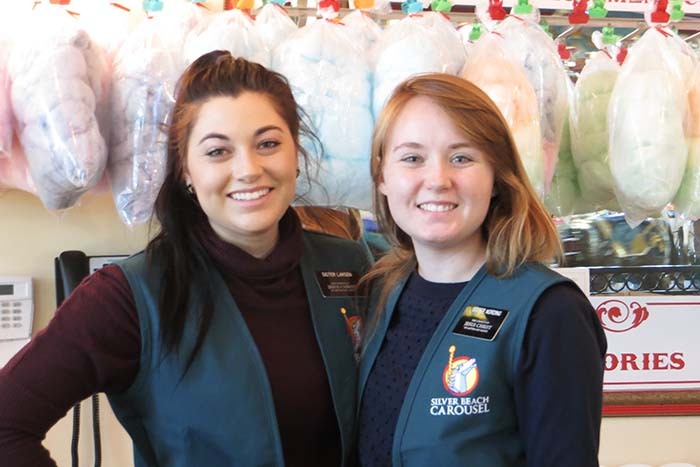 Mmmmm, you'll create the tantalizing aromas of warm popcorn and freshly made caramel corn and cotton candy that draw a steady stream of customers to our striped refreshment stand. Here, you'll pop, spin, serve and sell. 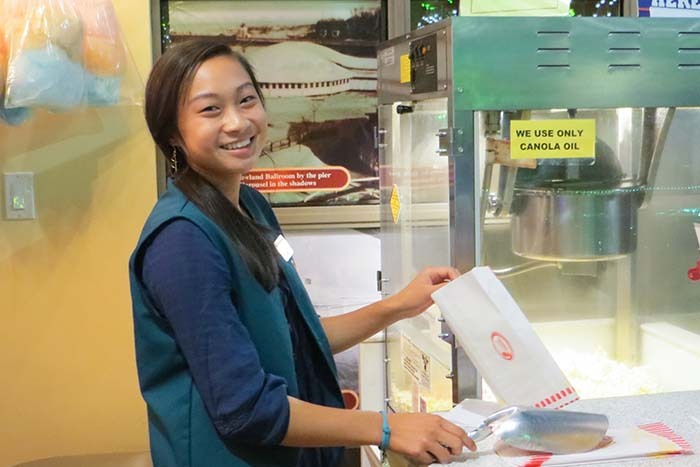 At the start of the day you'll set up our concession machines and at the end of the day, clean them. 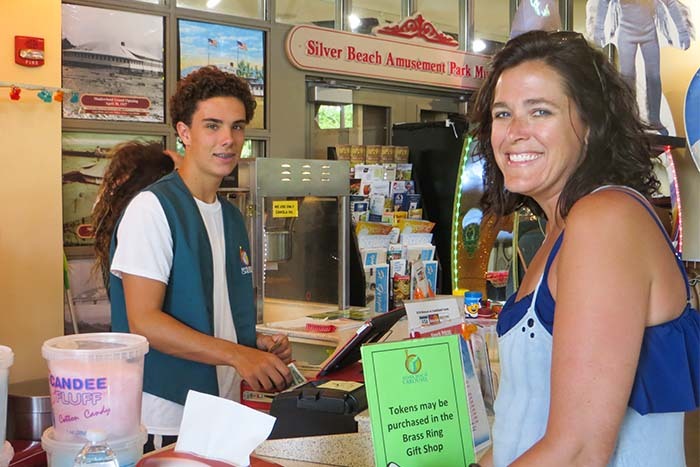 When the boardwalk is closed, you'll sell soft drinks, bottled water and make change for other purchases and activities. So, if you like bagging up happiness, this is where you can do it! 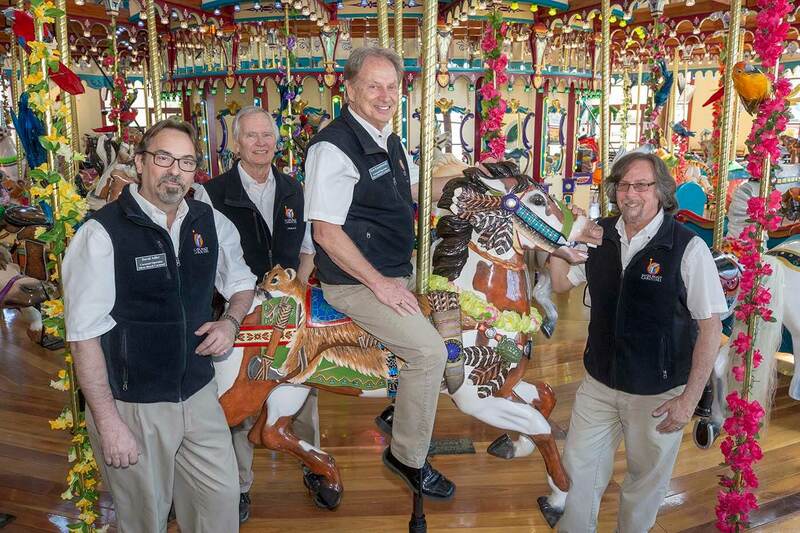 As a non-profit organization, we need to raise funds throughout the year to keep this magnificent Carousel operating and improving. 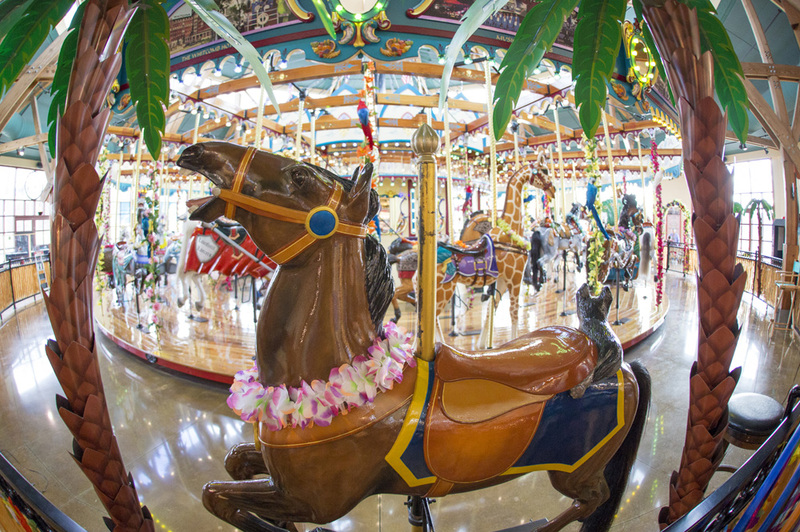 So, you can help us decorate the Carousel seasonally and assist us in planning and hosting special events throughout the year. 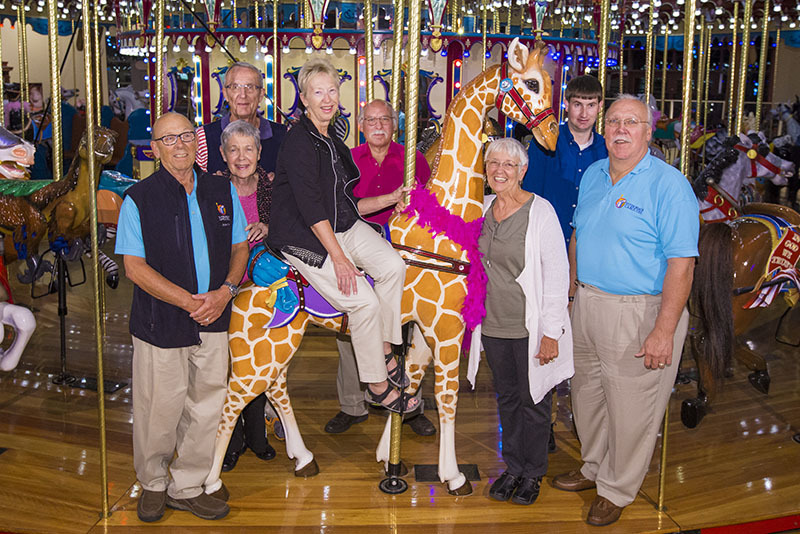 The carousel also supports other non-profit organizations raising money for worthy causes such as Alzheimer's and cancer research, and your help is greatly appreciated to make those events go smoothly, Plus, you can also help with brainstorming ideas, mailings, distributing promotional materials, oh, the list goes on and on. Just let us know how you'd like to help and we'll raise FUN together! 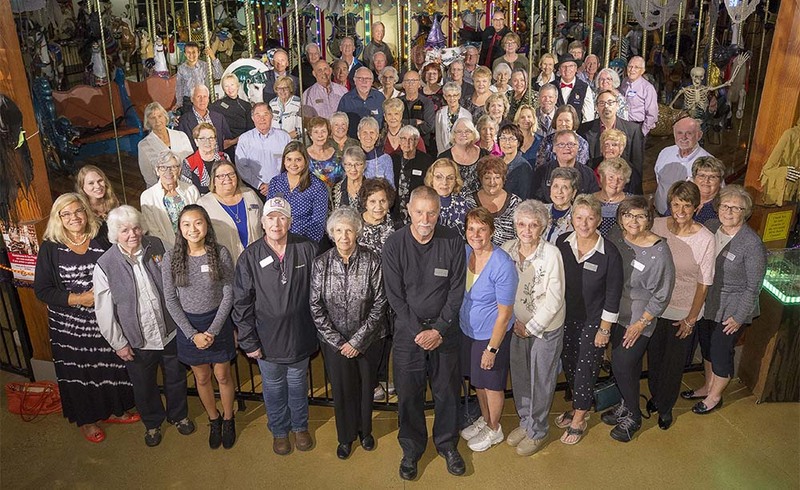 No matter when or how you volunteer at the carousel or Silver Beach Amusement Park Museum, we'll constantly express our deep appreciation for you. Throughout the year, we'll do things together just to show our gratitude. Those times will be lots of fun. 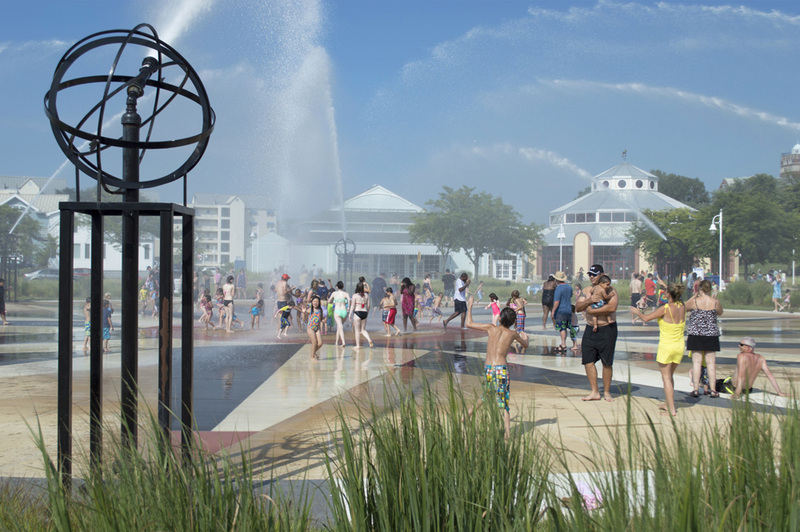 Because FUN is what all of us do best! 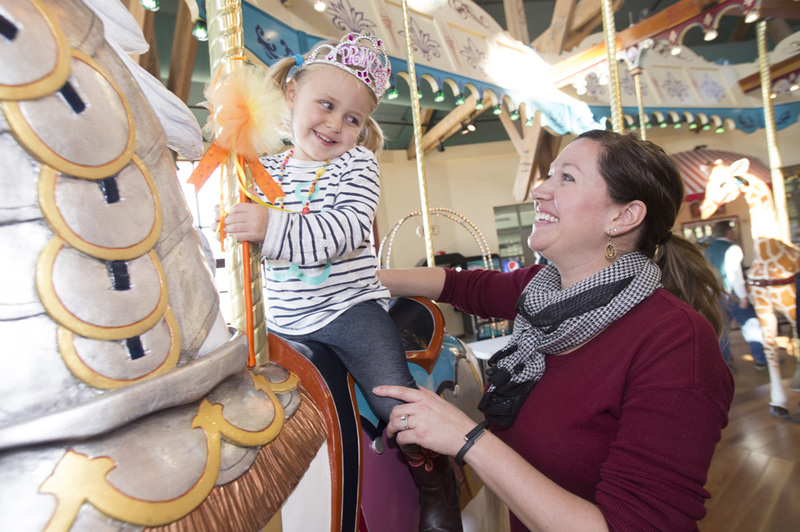 "It makes me happy when I walk in...I love the cheerful music and the beautiful Carousel." 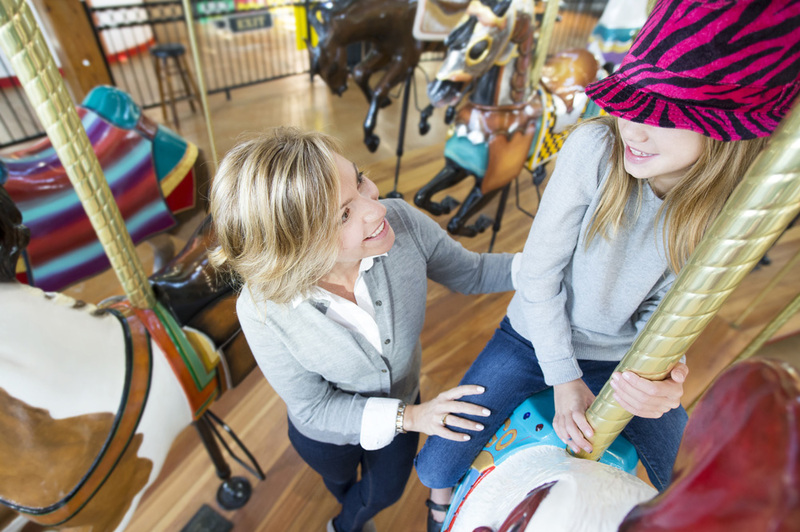 "My kids are grown and I see their teachers, coaches and friends at the Carousel. It's fun to catch up with everyone." 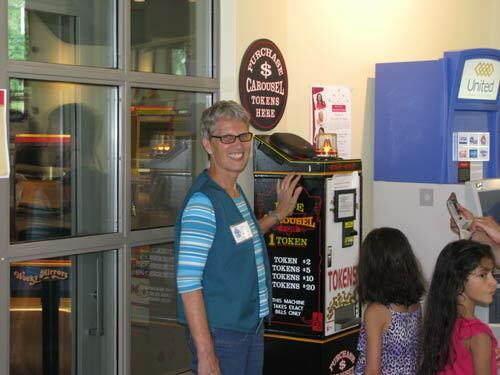 "As a retired teacher I love seeing former students, now with their own families." 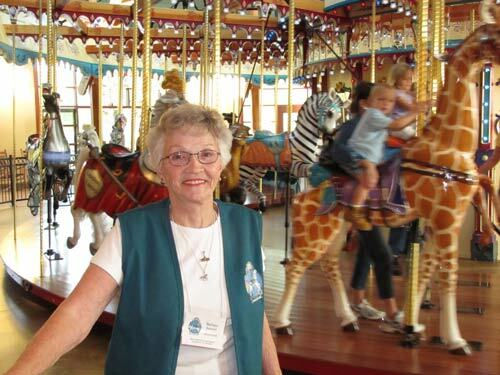 "I think it's important to volunteer and give back to the community, if you are able. This is a fun way to do that." 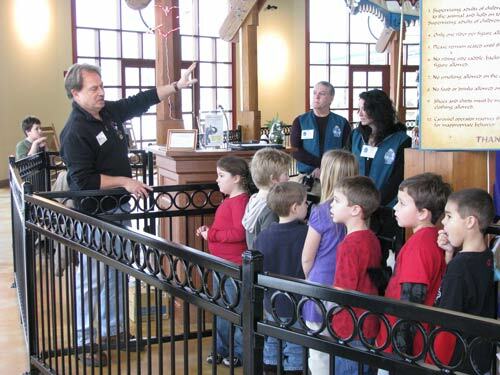 "It's fun to interact with the visitors. They have lots of questions. 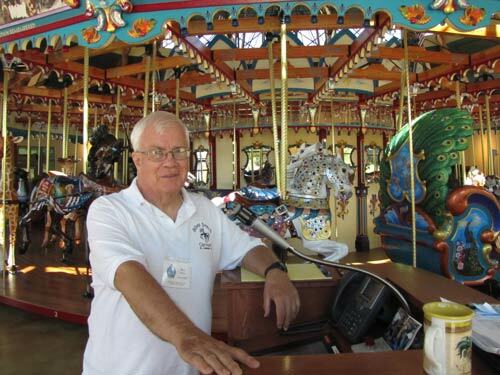 Everyone is interested in the Carousel and its history." 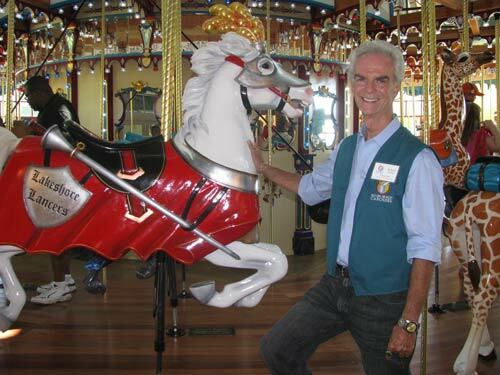 "It's delightful to see all ages enjoying the Carousel." 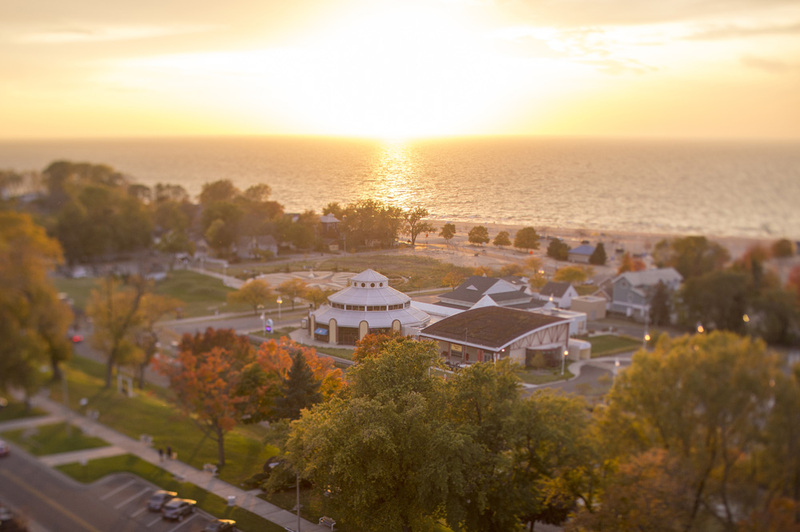 "It's a happy place. It's fun to meet people from all over the world and to catch up with people I know, too." Contact your team leader for login information or training times.